When you or someone in your family is in need of dental braces, you should contact experienced Zionsville area orthodontist Rebecca Bolon, D.D.S. She and her team of professionals are committed to helping you achieve a beautiful, straight smile. Whether you need straighter teeth, a gap closed, or any number of other issues corrected, rest assured that we're up to date on the latest techniques to make the process as comfortable and effective as possible. While we see plenty of teens at Rebecca Bolon Orthodontic Care, adult braces are becoming increasingly popular. After all, a beautiful smile is always in fashion. Whether you're in the boardroom or in a social setting, your smile can make a difference. Ceramic braces are a fantastic choice for patients who don't want the traditional "metal-mouth" look. These tooth-colored products allow for a more natural look while your mouth is undergoing it's amazing makeover. We'll discuss all of your options and help you choose the best product for your lifestyle. It's easy to make an appointment right now. Just call our helpful staff at (317) 846-6107 or complete our easy online form. 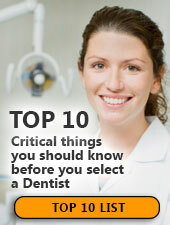 Now's the time to get the top dental care you deserve. Our team is dedicated to providing all our patients with top-quality, affordable orthodontics care. And if you have concerns about the cost of braces, we're always ready to help explain the range of financial options that may be available to you. Rebecca Bolon Orthodontic Care practices the highest infection control standards to protect our patients and ourselves. In the Zionsville, IN area, Dr. Rebecca Bolon and her staff strictly observe all Occupational Safety and Health Administration (OSHA) guidelines. All instruments are cleaned, disinfected and routinely sterilized as recommended by the American Dental Association and the Centers for Disease Control. Whenever possible, disposable, single-use items are used to ensure your safety. If you're looking for a quality orthodontist for braces in Greenwood you've come to the right place. Dr. Bolon offers orthodontic dentistry that Greenwood residents have come to trust for caring and professional dental care. When it comes to basic dental care, Dr. Bolon will tell you that nothing tops brushing. If you choose to use a manual toothbrush, be sure that it is small enough to reach your entire mouth easily. Also, bristles that are too firm can cause your gums to bleed. Those who prefer something a bit more convenient and comfortable might consider an electric toothbrush. Be sure the head is soft and the bristles move in a back-and-forth motion. If you have questions about your toothbrush, call us at (855) 460-3529 and we’ll be pleased to offer recommendations. If you're suffering from tooth decay or gum problems, regular appointments with Rebecca Bolon, D.D.S. will allow her to create a personalized treatment plan that will give you the best smile possible. Regular cleanings remove most tobacco, coffee and tea stains, polishing your teeth to a beautiful shine! If it's been more than six months since your last check up and cleaning, call Rebecca Bolon Orthodontic Care at (855) 460-3529 to schedule an appointment today! We promise to take good care of you and your smile! 'First visit by first birthday' sums it up. Your child should visit a dentist when the first tooth comes in, usually between six and twelve months of age. Early examination and preventive care will protect your child's smile now and in the future. If you have questions regarding your baby's teeth, please call Rebecca Bolon Orthodontic Care at (855) 460-3529 and we’ll be glad to provide the answers.